To celebrate the official release of PULVER MAAR, my fifth book of poems on Black Ocean, I will read each of the book’s seven sections at seven different venues throughout the day on Saturday, March 23. I will be joined by Mathias Svalina, Derek Wilson, Brandi Katherine Herrera, and Kyle Morton. Donations of $35+ Receive a copy of Pulver Maar and a Pulver Maar t-shirt, a two-color screen-print by Scott McHale of Madcap Designs. $10 (of your $35) will be donated to IPRC. Reading with Mathias Svalina. Max capacity 20 people. Hoping for 30+ people. Buy a copy of Pulver Maar for $20. Or buy a copy for $25, and I’ll buy you a $10 gift certificate to Belmont Books in return. $25 gets you a copy of Pulver Maar + limited edition, signed + numbered riso print of “A Novel About a House,” which was printed at Outlet. Items also available separately. Four people will get their haircut (I’m buying) during the reading. Derek Wilson will play his original composition, “Haircuts,” on violin while I read. Free cans of Montucky available upon request. Copies of Pulver Maar available. A collaborative performance with poet/artist, Brandi Katherine Herrera, with video projection. Copies of Pulver Maar available. After a brief intermission, a collaborative reading with musician, Kyle Morton. Copies of Pulver Maar available. Pulver Maar is available for pre-order now at Black Ocean. Review copies available upon request. I am available to lead one-on-one 4-week poetry or fiction workshops via Google Hangouts + Google Docs. Each workshop is conducted one-on-one with any student of any level. Together, the two of us arrange a time for a weekly one hour online workshop. The first 20 minutes of that time is spent in Google Docs building commentary on new material. The remaining time is spent workshopping live via Google Hangouts. The main focus is to sustain a writing practice for the month. After each meeting, I'll give the student a few prompts to complete for the week that addresses some aspect of the writing process brought up in our conversation. The workshop is 4 total weeks. Meeting times TBD based around the student's schedule. This will be a generative poetry workshop for poets at all levels. The main focus will be to sustain a poetry writing practice for six weeks with access to a small group of focused readers. After each workshop, Zachary will give the group a prompt/assignment to complete for the week, one that addresses some aspect of poetry writing brought up in your group conversations. The participants will spend the beginning of the following week's workshop discussing your experiences with the assignment. The workshop will be capped at 6 people, so everyone will get about 20 minutes of focused group discussion of their own new work at each meeting. The class will meet once per week for 6 total weeks starting on Oct. 22 and meeting every Monday from 5:30 to 8:30. $200 total per person for the 6 weeks. In August and September of 2018, I will host multiple 4-week poetry workshops via Google Hangouts. Each workshop will be conducted one-on-one with any student of any level. Together, the two of us will arrange a time for a weekly 45 minute online workshop. The first 15-20 minutes of that time will be spent in Google Docs building commentary on a new poem. The remaining time will be spent workshopping the poem live via Google Hangouts. The main focus will be to sustain a poetry writing practice for the month. After each meeting, I'll give the student a prompt to complete for the week, one that addresses some aspect of poetry writing brought up in our conversation. We'll also collaborate on a new poem together each week. In May, June and July of 2018, I will host multiple 4-week poetry workshops via Google Hangouts. Each workshop is capped at 2 students of any level. Together, the three of us will arrange a time for a weekly 1-hour online workshop. The first 20 minutes of that hour will be spent in Google Docs building commentary on both new poems by both students. The remaining 40 minutes will be spent workshopping both poems live via Google Hangouts. The main focus will be to sustain a poetry writing practice for the month. After each meeting, I'll give both students a prompt to complete for the week, one that addresses some aspect of poetry writing brought up in our conversation. Because each workshop is capped at 2 students, each student gets about 30 minutes of focused attention on their own new work at each meeting. The workshop is 4 total weeks. Meeting times TBD. I'll be in Oaxaca all of April, and from there, I will host multiple 4-week poetry workshops via Google Hangouts. Each workshop is capped at 2 students of any level. Together, the three of us will arrange a time for a weekly 1-hour online workshop. The first 20 minutes of that hour will be spent in Google Docs building commentary on both new poems by both students. The remaining 40 minutes will be spent workshopping both poems live via Google Hangouts. The main focus will be to sustain a poetry writing practice throughout April. After each meeting, I'll give both students a prompt to complete for the week, one that addresses some aspect of poetry writing brought up in our conversation. Because each workshop is capped at 2 students, each student gets about 30 minutes of focused attention on their own new work at each meeting. The workshop is 4 total weeks starting the first week of April. Meeting times TBD. I'm leading a 3-week class on Thursday evenings starting July 6 at the Portland Underground Graduate School on Mary Ruefle's 3 most recent books. It's only $100 to join. You can read more about it on the PUGS website here. Offering Two Poetry Workshops at OutletPDX this summer! This summer, I feel like spending Wednesday evenings in Kate Bingaman-Burt's new Outlet space, with the garage door up, sipping on shandies, and talking about poems. If you want to join me, contact me at zacharyschomburg@gmail.com. Both workshops will be capped at 6 students, so let me know soon if you want in. Wednesdays, May 31 - July 5. At Outlet. 2500 NE Sandy. 5:30pm-8pm. $200-$300 (sliding scale). This will be a generative poetry workshop for poets at all levels. The main focus will be to sustain a poetry writing practice for six weeks with access to a small group of focused readers. After each workshop, I'll give the group a prompt/assignment to complete for the week, one that addresses some aspect of poetry writing brought up in our group conversations. We'll spend the beginning of the following week's workshop discussing our experiences with the assignment. Our workshop will be capped at 6 people, so everyone will get about 20 minutes of focused group discussion of their own new work at each meeting. We will meet once per week for 6 total weeks. Wednesdays, July 12 - August 16. At Outlet. 2500 NE Sandy. 5:30-8pm. $200-$300 (sliding scale). This will be a generative workshop with a particular attention toward collaboration. Through prompts, exercises, and readings that focus on the idea collaboration, we will discover new ways of thinking about our own approach to writing, and ultimately learn how to write collaboratively with ourselves (whatever that means). For each of the six weeks, we will focus on a different kind of collaborative poetry writing: (1) with one other person, (2) with multiple people, (3) with a dead poet, (4) as an act of translation, (5) with a machine/computer, (6) and with any other kind of artist. Our workshop will be capped at 6 people. We will meet once per week for 6 total weeks. I sketched Ian MacKaye and Maria Falconetti as Joan of Arc. Recently, I’ve put down the pencil and I’ve started sketching more quickly with pens. Here are portraits of Patti Smith, Lucia Berlin, and Grete Stern. 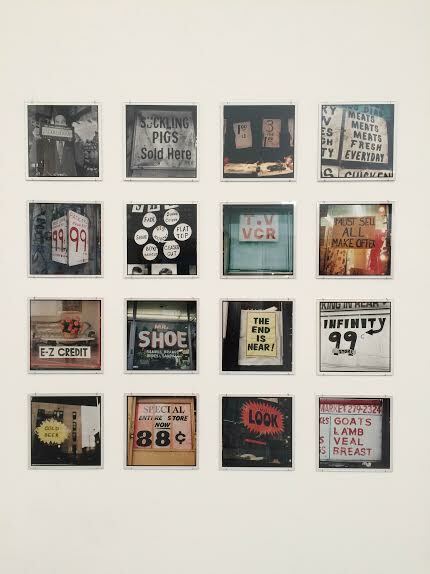 Yesterday, at the MOMA, I got excited about Zoe Leonard’s Analogue. 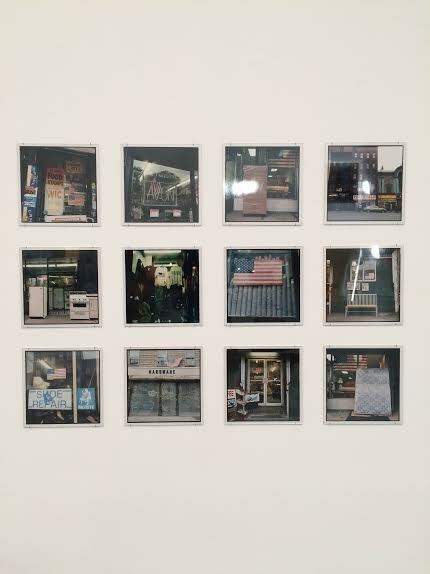 412 photographs of disappearing storefronts on the Lower East Side, and neglected consumer products, captured by her own obsolete piece of technology, a Rolleiflex camera. I’m going to be right where I want to be next Thursday night, August 27: In Brooklyn. At Berl’s. Reading poems with four amazing poets, two of them reppin’ Octopus Books. You should come too. You’re invited. Call out for your favorite poems and see what happens. Buy one of our books from Berl’s. 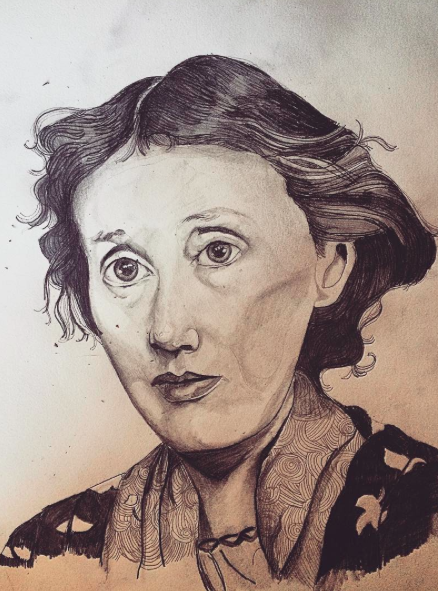 I drew three more portraits of artists I admire. 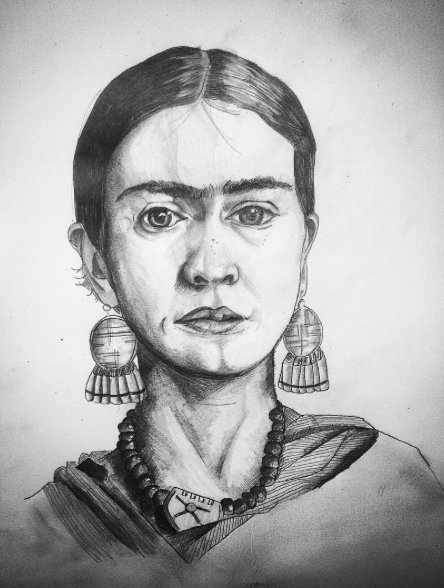 Virginia Woolf, Frida Kahlo, and Doug Martsch. DeWeese DeWeek is finally here! MONDAY: Money Back Monday! Every purchase can be returned for a full refund if you don’t like it. AND every 8th buyer gets the entire Octopus Books catalog for free. TUESDAY: Every buyer gets Everyone Here by Cecily Iddings and Via Dissimulata by Marisol Limon Martinez for free. WEDNESDAY: Every buyer gets The Difficult Farm and The Trees The Trees by Heather Christle for free. THURSDAY: Every buyer gets a copy of the book signed with a personal note from the author, AND a free copy of The Black Forest. FRIDAY: Try Day Friday! Every purchase can be returned for a full refund if you don’t like it. AND a letter-pressed Wong May broadside for free. Also, Christopher DeWeese is taking over the Octopus Books twitter account all week, so tune in. Tweet your favorite lines of his poems at him, ask him questions, etc. Use the hashtag #DeWeeseDeWeek. Spread the word. Tell your friends. Pre-order is the new order. 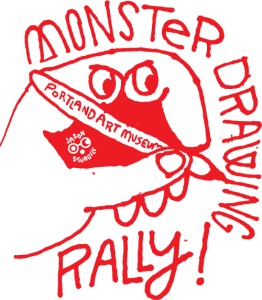 Next Friday night is the Monster Drawing Rally at the Portland Art Museum. I’ll sit in a room with some of my favorite local artists in the museum from 6-9 and draw. You can watch us all draw, and if you bring $35, you can buy the drawings as soon as their posted on the wall. There’ll be a dj and drinks and snacks. The proceeds support free school and youth programs at the Portland Art Museum. Bad Blood is picking up steam for The Cleaners. BBXXVII is tonight and we’re hosting Ben Fama, Sarah Galvin and Monica McClure. All representing some of our favorite small poetry presses around: Poor Claudia, Ugly Duckling Presse, Bloof, Spork, Birds LLC, etc. Trade that stupid cash in your pockets for small press poetry books and Gigantic beer. The Stark County Board of Developmental Disabilities is using my book of poems, Fjords vol. 1, to teach literacy to some of their adult clients. They’ve been interpreting some of the poems in their art classes. As a poet, too rarely do you get to see the evidence of the work the poems are doing without you there, after you’ve written them, so this news makes me incredibly happy and proud. Can you guess to which Fjords poem they belong? On Friday night, I’m co-hosting a memorial reading for one of my all time favorite poets, James Tate, who died earlier this month. The reading will be at Mother Foucault’s Bookshop and the readings will begin at 7:30. A line-up of poets will read their favorite poem of Jim’s as a way to celebrate his poetry. Also, members of the audience will be given a chance to share one of their favorite poem of Jim’s too, so bring a poem with you. And we will have some beer and wine too, so bring a dollar for the happy jar.